Are you tired of tenants skipping out? How do you handle evictions? Can you develop a better relationship with your tenants? How can you make sure your get your rent on time? These are only a few of the important question you have as a landlord. Well, we have answers. We have compiled an eBook “What ALL Landlords REALLY Need to KNOW” that is CHOCK FULL of great information, tips, and advice for landlords. 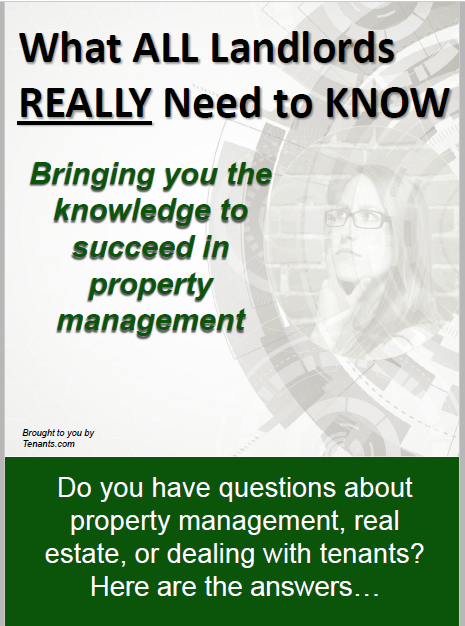 Whether you are new to property management or experienced, this book will help you. I’ve gone through these experiences and worked with both tenants and landlords for over 20 years. Now I’d like to share my knowledge with you.